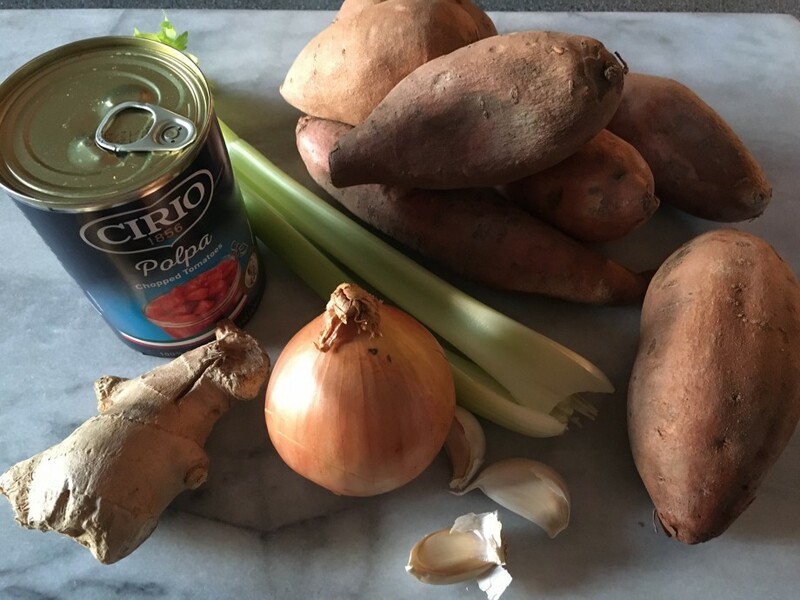 A lovely warming, gently spiced soup. I like a thick soup (truth is I like all soup, but I especially like thick soup)-but if you are not of the same mind, add an extra 200ml stock to let it down. This will serve four people comfortably but would stretch to six, even eight, if you have small bowls or mugs. 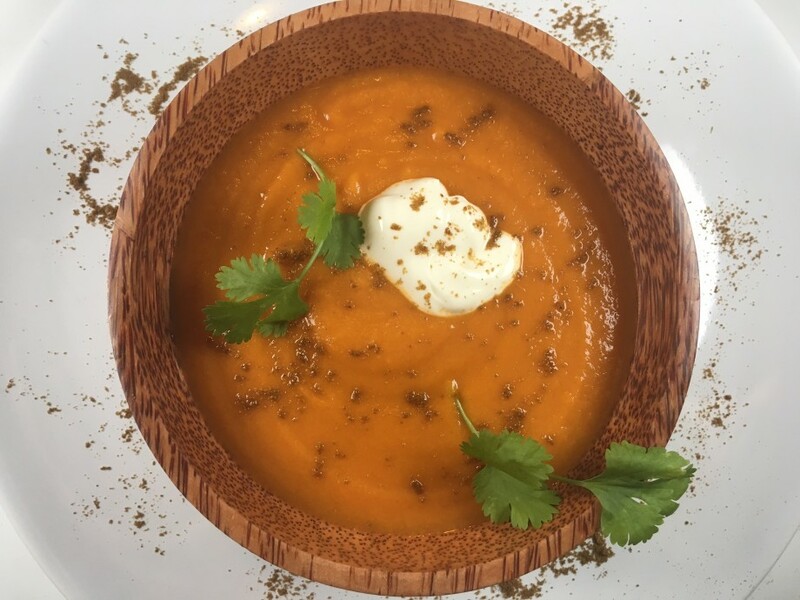 You can finish the soup with a little coriander and a spoonful of plain yogurt. 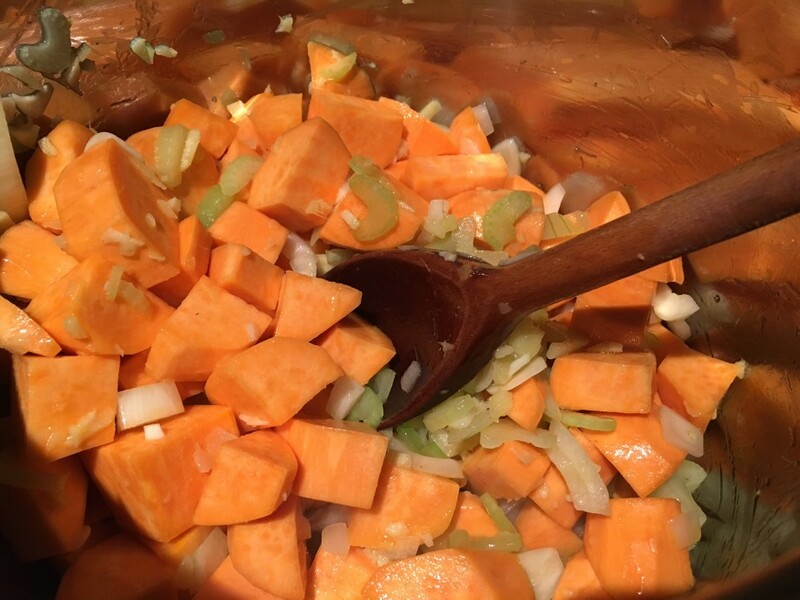 Heat the oil in a large saucepan and add the onion, celery, sweet potatoes and a pinch of salt. Cook over a moderate heat for 5 minutes. Add the garlic, ginger and cumin and cook, stirring for a further 5 minutes. Pour in the chopped tomatoes and stock (or water) and bring to the boil. Turn the heat down and simmer the soup for 30 minutes until the potatoes are soft. Cool the soup for about 15 minutes before liquidising. Taste and season with plenty of salt and ground black pepper. Gently heat through before serving.